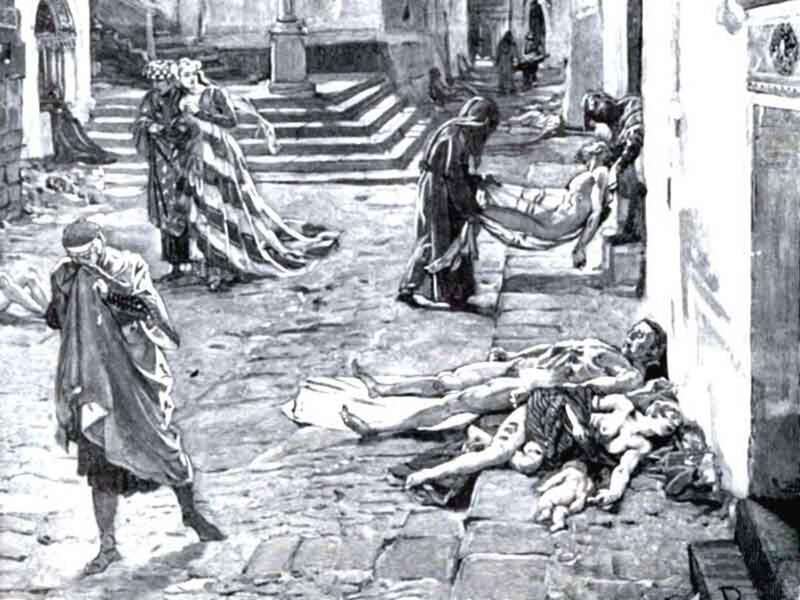 The black death was a bacterial infection that became a pandemic in the years 1348-1351. The disease originated in black rats, and found its way into humans via fleas that fed on both species. 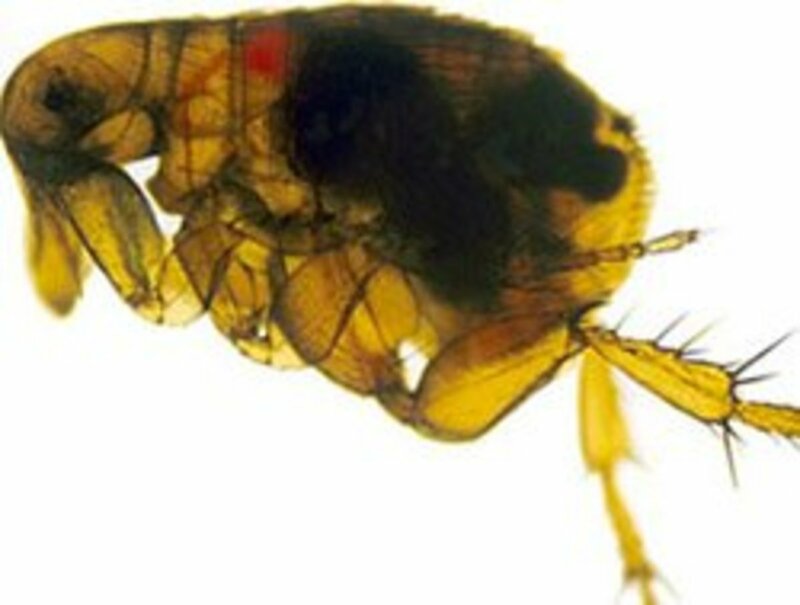 The black death works by blocking a flea's gut (see picture). The starving insect then bites its host more aggressively while simultaneously trying to regurgitate the diseased blockage. An expulsion of bacteria into the bite wound infects the current human or animal host. 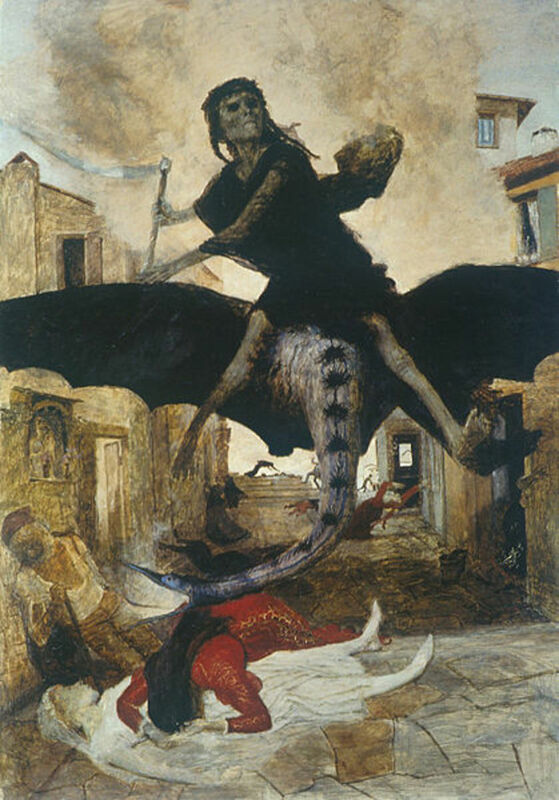 The black death began in China or Central Asia before spreading to Europe. When an invading Mongol army catapulted their dead into a European settlement in 1347, fleas carrying the disease found their way onto rats aboard boats traveling in the Mediterranean Sea. When the boats reached the over-populated, rat-infested cities of Europe, the infected fleas enjoyed regular contact with humans. The disease killed as many as 200 million people in Europe, which was about half of the population. 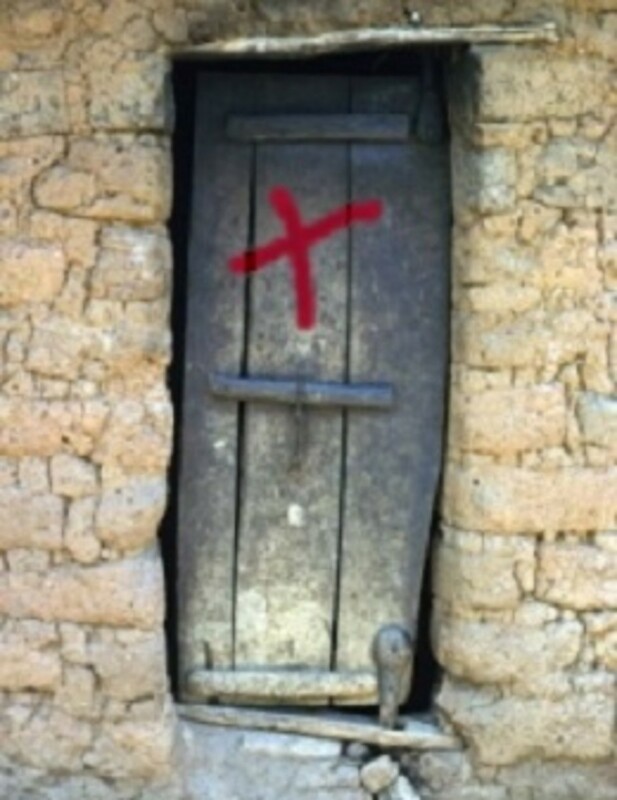 Those suffering from the disease had their doors painted with a red or black cross to warn people away. The main black death symptoms are buboes (swollen lumps as big as apples), black blotches on the skin, fever, vomiting blood, and death in less than a week. An even deadlier pneumonic variant of the disease infects the lungs, producing flu-like symptoms that allow for transmission between humans. To understand if the black death could return, it is worth investigating the bacterium responsible, and the environmental factors that contributed to the original pandemic. 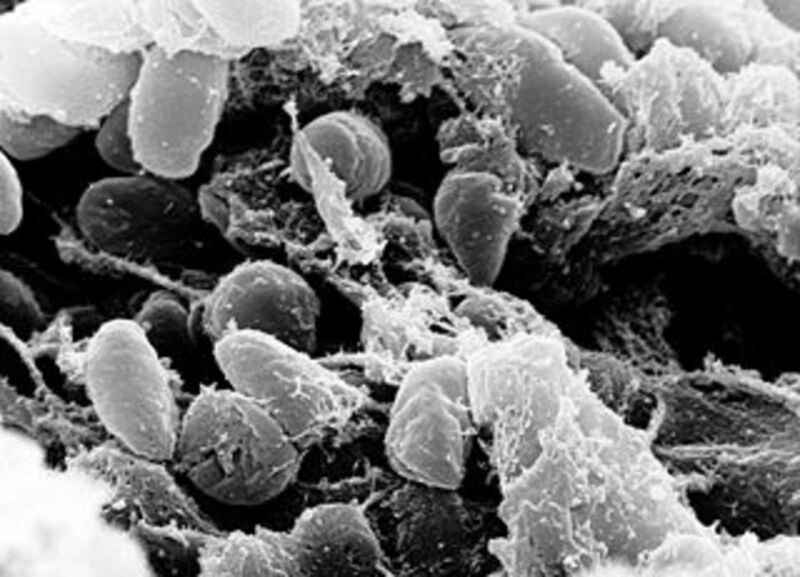 Many scientists believe the black death was caused by Yersinia pestis. 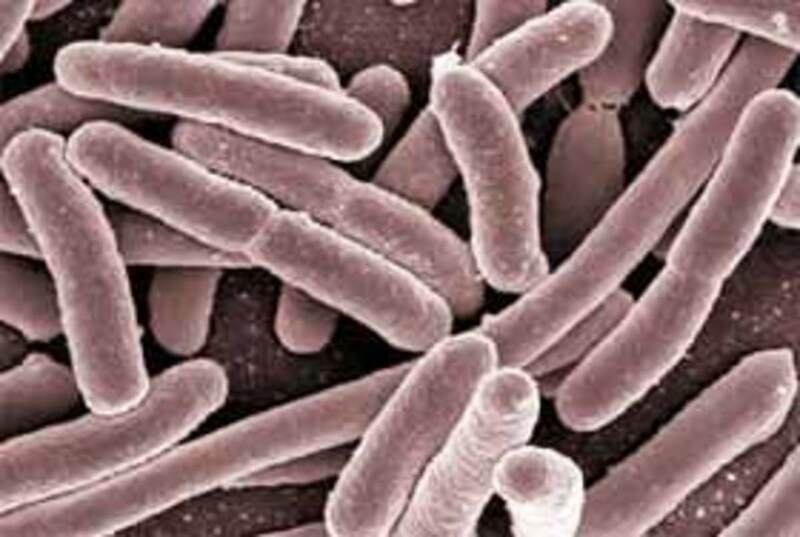 For those without a degree in epidemiology, this bacterium is famous for causing the bubonic plague; a disease which ravaged Europe in the 17th century. 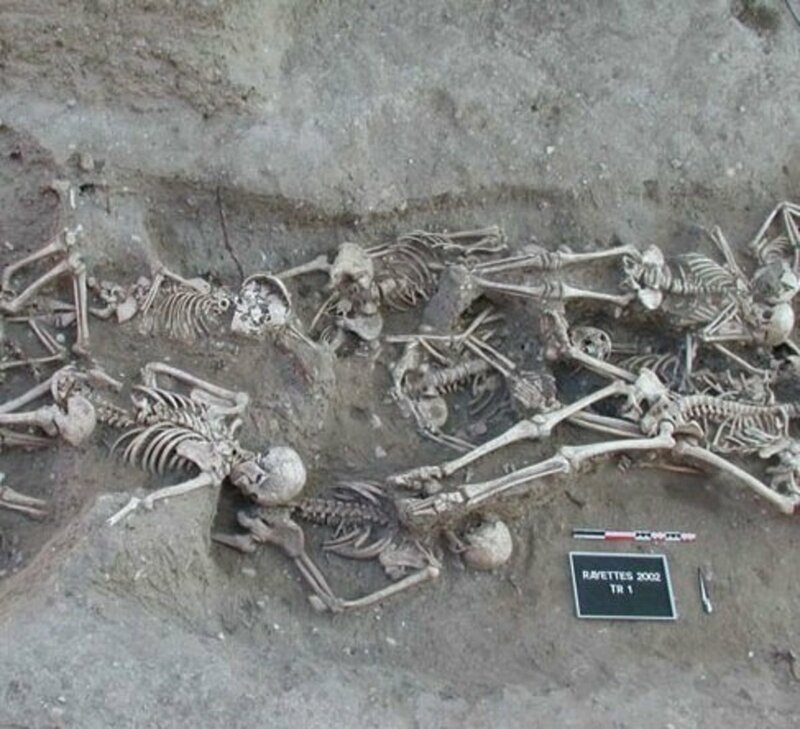 Some have questioned the plague connection, but the issue was put to rest when fragments of Yersinia pestis DNA were discovered in the graves of black death victims. Small discrepancies showed that the black death bacterium had evolved since the 14th century, suggesting the original disease no longer exists. One of the main causes of the black death was a sustained cold climate. Europe went through a "Little Ice Age" from the 14th to 19th centuries, causing poor harvests, widespread famine, and malnutrition. This would have weakened people's immune systems, increasing their susceptibility to disease. Studies have revealed that many of the dead suffered from malnutrition, suggesting the black death was selective in picking off the vulnerable. 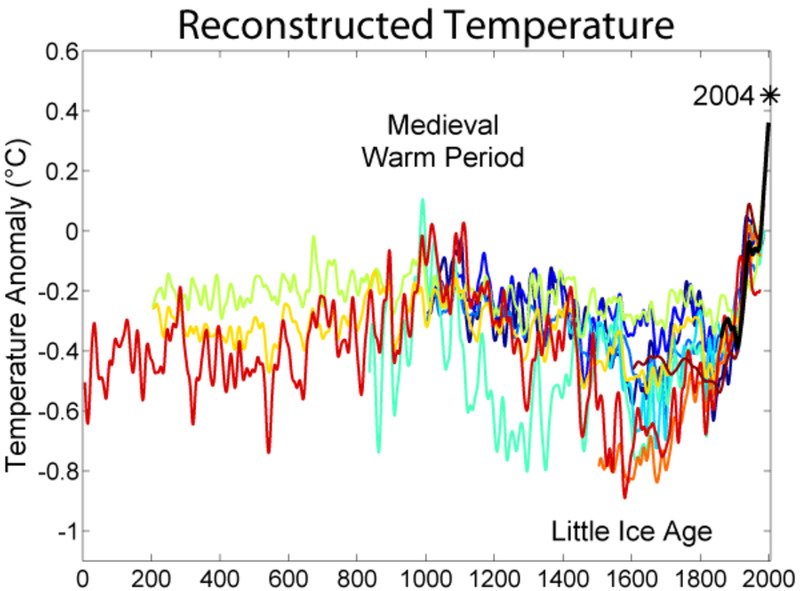 Another factor was the unseasonably warm weather that preceded the Little Ice Age. Agricultural tools had been developed for softer soil, and an excess of food had convinced people to have large families. 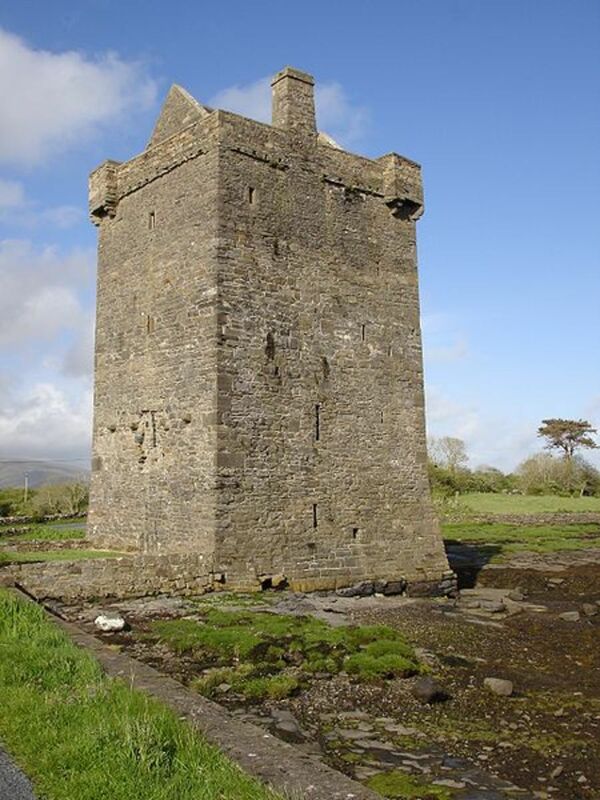 Thus, over-population and difficulty in harvesting food worsened the subsequent famine. 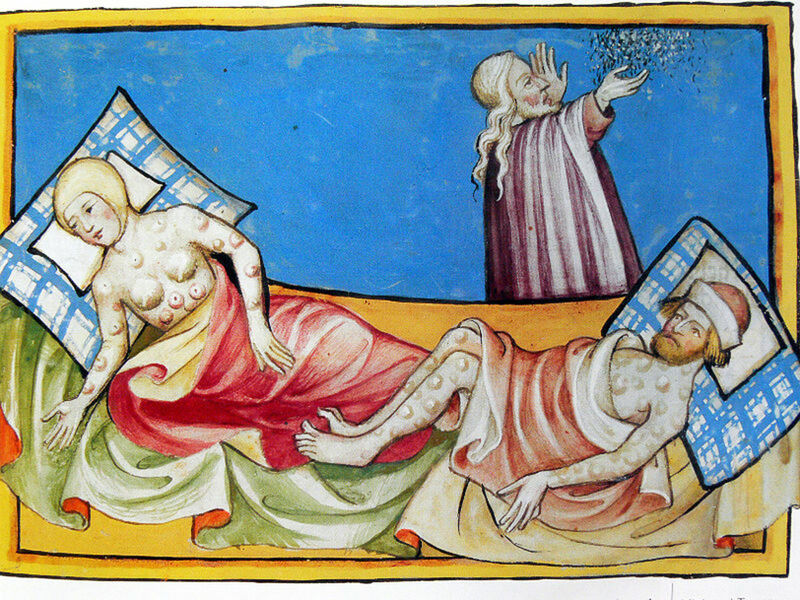 Poor medieval sanitation also contributed to the pandemic. Filthy streets covered with livestock, rats, and excrement were common in European cities, and homes were often shoddy and open to pest invasion. According to contemporary accounts, it's likely that the effects of the black death were intensified by other illnesses such as pox, worms, typhus and dysentery. Could the Black Death Return? The black death never completely died out after the 1348-1351 pandemic. Sporadic recurrences continued until another major outbreak in 1664-1665. The disease then steadily declined in prevalence until a "Third Pandemic" began in China in 1855. This third wave struck India in 1896, killing more than 10 million people. Minor outbreaks also occurred in San Francisco from 1900-1904, and Australia from 1900-1925. The black death is still being contracted by people today. Around 1000 to 3000 cases occur each year with a death rate of about 10%. Indeed, there were 10 reported cases in the United States in 1993, of which 9 recovered with the aid of antibiotic drugs. The primary modes of infection were flea or animal bites. Despite the success of modern antibiotics, the Yersinia Pestis bacterium may develop an immunity. Currently there is no vaccine for the black death, and the prospect of another pandemic arose when a drug-resistant strain was found in Madagascar in 1995. The Yersinia Pestis bacteria in a 16 year-old boy had developed resistance to 8 forms of antibiotics. Researchers concluded that the resistant genes had been augmented from other forms of bacteria such as salmonella and E. coli. The more we use and abuse antibiotics, the more likely it is that drug-resistant bacteria will transfer their resistances to lethal strains of Yersinia Pestis. This could cause another black death pandemic, though improvements in general health and nutrition should prevent fatalities from reaching 14th century proportions. Nevertheless, in this age of global travel, the disease could spread around the world in weeks, exacting a greater total death toll. High numbers of rats and animals in urban areas may also contribute to a future pandemic. Squirrels are particularly good carriers of fleas that transmit the disease. Pets and livestock can become infected as well, though they tend to die quicker. Animals wouldn't be required if the deadlier flu-like version of the black death pathogen became widespread (pneumonic plague). Face-to-face contact between humans would be enough to spread the disease. Perhaps the most likely prelude to another black death pandemic is environmental change. A colder climate over long periods could lead to crop failure, malnutrition and starvation. Over-population could equally lead to a lack of food. As with the original pandemic, malnutrition opens the door to disease by weakening one's immune system. A catastrophic event such as a nuclear explosion, an asteroid impact, or widespread volcanic activity could lower global temperatures by filling the atmosphere with dust. Smaller changes in the climate could also enhance the rate of infection. While wetter and warmer weather isn't likely to cause malnutrition, it does allow bacteria to grow quicker. In Central Asia, a one degree rise in the average annual temperature increased black death prevalence by 59%. A particularly effective combination is warmer winters and cooler, wetter summers. Man-made global warming or El Niño effects could easily provide favorable conditions in a number of developed regions. In the 14th century, people blamed the black death on God's anger, and set about murdering minorities who they thought were to blame. This included Jews, lepers, Roma, and foreigners of all description. In the 21st century, we understand the danger that microbial organisms pose to our health, so it's unlikely that such extreme prejudice would re-emerge. However, with the advent of international news and media, we are more attuned to events elsewhere in the world than at any other time. If an epidemic were to arise in India, for example, one could expect discriminatory behavior against ethnic Indians in other countries, even if they had not traveled from infected areas. The act of painting a cross on the homes of the infected is another example of discriminatory behavior that would probably not be seen today. Infected people would be advised to remain in their homes, and our understanding of bacterial transmission should be enough to prevent them from carelessly infecting others. The evolution of a drug-resistant strain of the Yersinia Pestis bacterium. An environmental catastrophe causing widespread detriment to human health. Although these threats are quite real, there are other contagious diseases that present a greater danger. These include Avian Flu, Malaria, Hantavirus, West Nile virus, and Dengue fever. For example, it is predicted that global warming will soon allow Malaria to return to Europe. Indeed, warmer and wetter temperatures as well as over-population will contribute to a greater number of pandemics in the future. 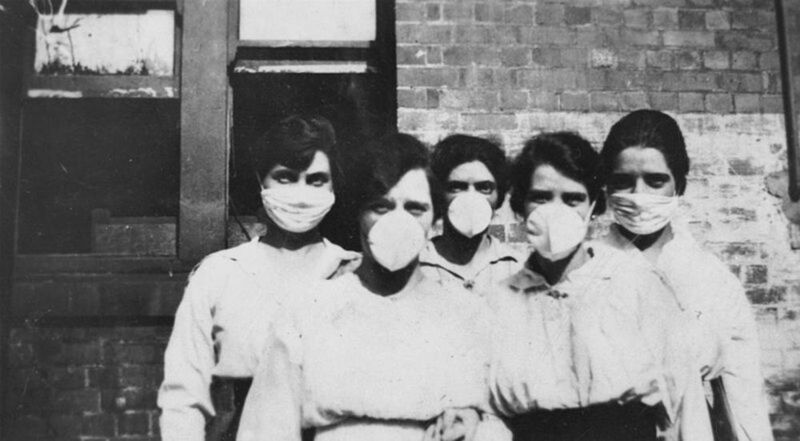 The Spanish Flu Pandemic of 1918 - Could It Happen Again? Thank you for your very informative comment Raevyn14. The idea of having another epidemic like that of the 14th century is unlikely. There are treatments to the 3 types of plagues. Vaccinations, however, have been proven ineffective to the Pneumonic plague. Here in the US there are fewer than 7 cases of plague a year. There are very powerful medications that take care of the plague in 7 days.. If you don't want the treatments.. Then with the Bubonic plague you have less than 7 day before the disease takes hold. The Pneumonic plague can take 3 days 'fore the disease to take over the lungs. Septicemic plague, however, can take 1 day for symptoms to appear and its the quickest of them all because by the time you show symptoms, it takes over. Thanks Alicia. I hope so too. Your comment is quite coincidental, as I was thinking about this topic again only yesterday. There was a story in the news about a man who was finding rats in his attic, some as big as cats. The number of rats in developed areas may be on the rise, and that could increase the (small) chance of another outbreak. This is a useful and very interesting hub. It's also thought provoking! 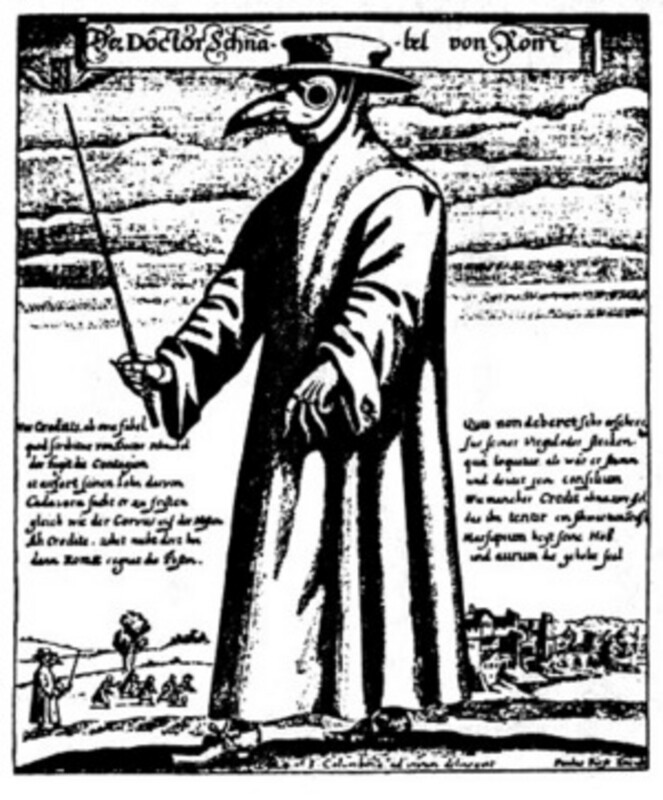 I hope the world doesn't face a black death pandemic again. Thanks Michelle. I agree that if an epidemic were to happen again, it would probably begin in the developing world. Another very interesting hub. I think there is a possibility that this epidemic can happen again. For example, the increasing percentage of people living in severe poverty in countries like Africa. Or people who have had to flee their homes due to wars, like Syria and are living so close together and drinking water that is not clean. There are a few possibilities, I am not sure. Just thinking about it. That's a great point wilderness. It rings a bell with me too, but I didn't think of it when writing this hub. I believe they hated cats because of their association with witches, and that association probably arose due to Christianity vilifying "pagan" belief systems. The Egyptians worshipped cats, so that might be the source of it all. Thanks jonny, I suppose it's one of many things we could do to improve our world. It always amazes me how the Earth provides us with all the energy we could ever need (sun, wind, geothermal, tidal, etc) and we resort to burning fossil fuels instead. Thanks for the info on humanure. A well written and interesting hub - thank you. In researching for a hub on Halloween, I came across a suggestion that humanity may have contributed to the black death in a more definitive manner. During that period in our history (European) there was a huge fear of cats, including the house cats we keep as pets today. Cats were routinely hunted down and killed, to the point that they were nearly wiped out throughout much of Europe - cats that in a densely populated area are a major factor in controlling rat populations. 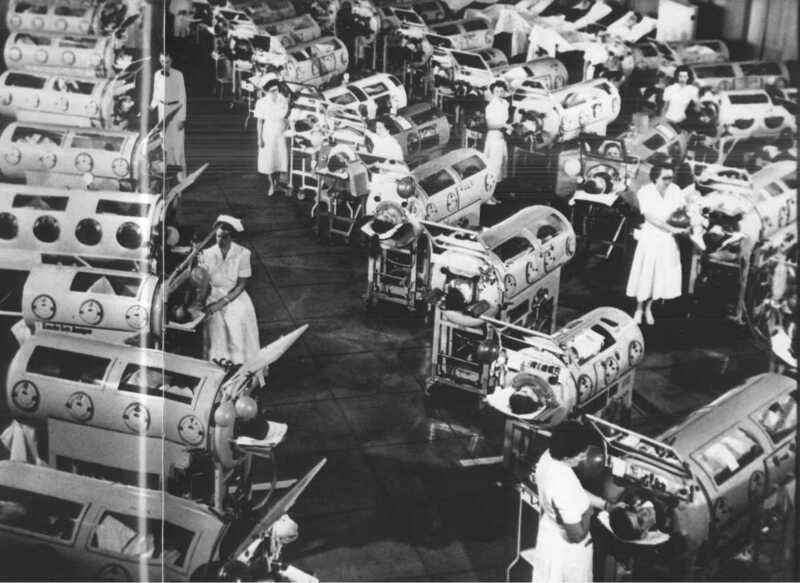 Did we, by meddling with ecological balances, contribute to the epidemic? An interesting thought if nothing else, and shows just how dangerous that can be. Not an uncommon response to the suggestion, Thomas, and quite understandable. However, when using the Humanure method, as practised and written about by Joseph Jenkins in his "Humanure Handbook," I can ascertain there is absolutely no problem with smell. The method is a wonderful education for our modern world, which has benefited enormously from the "flush" system since it was introduced in the 19th century. That was when the world had a population of less than 2 billion. Now we must research many areas of our relatively comfortable existence and find more sustainable and healthy methods to use the limited resources like water, fertilizers and soils. A result of such changes will be a more healthy environment and reduction of water-borne diseases. That sounds interesting jonny. I don't know a lot about that. I wonder how bad it would smell, but it seems like something that could be done in the developing world to prevent those diseases. You might be aware from some of my hubs and previous comments, that one of my big interests is more ecologically sensible infrastructure systems. One of those is sewerage. Composting excreta, ( Google "Humanure" ) instead of mixing it with fresh, potable water, can prevent the spread of water-borne diseases like cholera and typhoid. Compost can be fed back into agriculture when done properly, safely and with the recycling of important plant nutrients. So this is one way at least smaller communities could work towards "sustainability" and healthy lifestyles. You are not going to get huge metropolises going down this big change in the near future, but for local communities, wishing to take charge of their own needs, it could be a big benefit to their survival. Thanks jonny, glad you liked it. Good point chefsref. While our medical knowledge, nutrition, sanitation, and international response to famine makes us less susceptible to pandemics, population density and travel will work in the opposite direction. It gives the impression that if a `superbug' were to get through our defenses, it could pretty much wipe out everyone. Excellent presentation. Thank you Thomas. Most interesting.